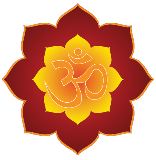 The words “Hindu” and “Hinduism.” The fact is that true “Hinduism” is based on Vedic knowledge, which is related to our spiritual identity. Many people do accept it to mean the same thing as Sanatana-dharma, which is a more accurate Sanskrit term for the Vedic path. Such an identity is beyond any temporary names as Christian, Muslim, Buddhist, or even Hindu. After all, God never describes Himself as belonging to any such category, saying that He is only a Christian God, or a Muslim God, or a Hindu God. That is why some of the greatest spiritual masters from India have avoided identifying themselves only as Hindus. The Vedic path is eternal, and therefore beyond all such temporary designations. So am I calling the name “Hindu” a temporary designation? Most scholars feel that the name “Hindu” was developed by outsiders, invaders who could not pronounce the name of the Sindhu River properly. According to Sir Monier Williams, the Sanskrit lexicographer, you cannot find an indigenous root for the words Hindu or India. Neither are these words found in any Buddhist or Jain texts, nor any of the official 23 languages of India. Some sources report that it was Alexander the Great who first renamed the River Sindhu as the Indu, dropping the beginning “S”, thus making it easier for the Greeks to pronounce. This became known as the Indus. This was when Alexander invaded India around 325 B.C. His Macedonian forces thereafter called the land east of the Indus as India, a name used especially during the British regime. Before this, the Vedic name for the area was Bharath Varsha, which many people still prefer to call it by that name. Later, when the Muslim invaders arrived from such places as Afghanistan and Persia, they called the Sindhu River the Hindu River. Thereafter, the name “Hindu” was used to describe the inhabitants from that tract of land in the northwestern provinces of India where the Sindhu River is located, and the region itself was called “Hindustan.” Because the Sanskrit sound of “S” converts to “H” in the Parsee language, the Muslims pronounced the Sindhu as “hindu,” even though at the time the people of the area did not use the name “hindu” themselves. This word was used by the Muslim foreigners to identify the people and the religion of those who lived in that area. Thereafter, even the Indians conformed to these standards as set by those in power and used the names Hindu and Hindustan. Otherwise, the word has no meaning except for those who place value on it or now use it out of convenience. The location wherein the word "Hindu" occurs for what some people feel the first time is in the Avesta of the Iranians in its description of the country of India and its people. As their state religion of Zoroastrianism grew, the word seemed to take on a derogatory meaning. And of course as Islam spread in India, the words "Hindu" and "Hindustan" became even more disrespected and even hated in the Persian arena, and more prominent in the Persian and Arabic literature after the 11th century. Furthermore, a Persian dictionary titled Lughet-e-Kishwari, published in Lucknow in 1964, gives the meaning of the word Hindu as “chore [thief], dakoo [dacoit], raahzan [waylayer], and ghulam [slave].” In another dictionary, Urdu-Feroze-ul-Laghat (Part One, p. 615) the Persian meaning of the word Hindu is further described as barda (obedient servant), sia faam (black color) and kaalaa (black). So these are all derogatory expressions for the translation of the term hindu in the Persian label of the people of India. So, basically, Hindu is merely a continuation of a Muslim term that became popular only within the last 1300 years. In this way, we can understand that it is not a valid Sanskrit term, nor does it have anything to do with the true Vedic culture or the Vedic spiritual path. No religion ever existed that was called “Hinduism” until the Indian people in general placed value on that name, as given by those who dominated over them, and accepted its use. Furthermore, the term has been used to convey demeaning connotations. So is it any wonder that some Indian acharyas and Vedic organizations do not care to use the term? The real confusion started when the name “Hinduism” was used to indicate the religion of the Indian people. 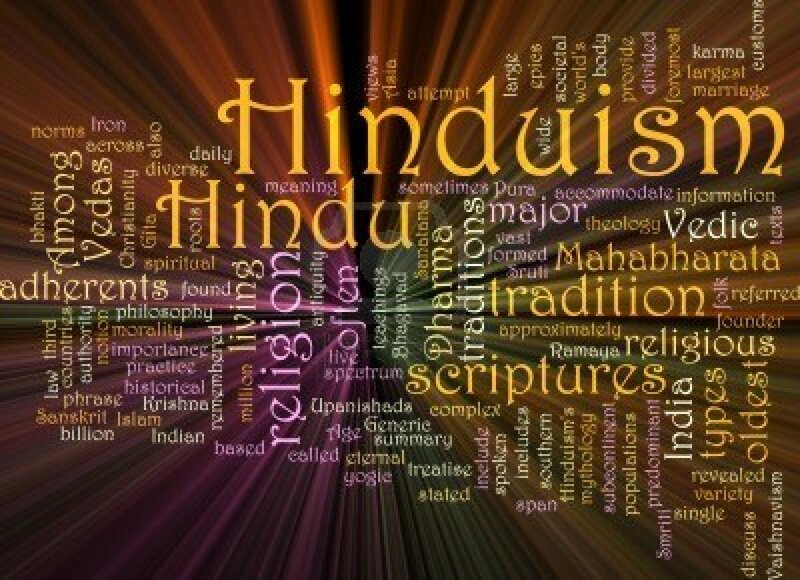 The words “Hindu” and “Hinduism” were used frequently by the British with the effect of focusing on the religious differences between the Muslims and the people who became known as “Hindus”. This was done with the rather successful intention of creating friction among the people of India. This was in accord with the British policy of divide and rule to make it easier for their continued dominion over the country. Another verse reads as: Sapta sindhu muthal Sindhu maha samudhram vareyulla Bharatha bhoomi aarkkellamaano Mathru bhoomiyum Pithru bhoomiyumayittullathu, avaraanu hindukkalaayi ariyappedunnathu. Both of these verses more or less indicate that whoever considers the land of Bharatha Bhoomi between Sapta Sindu and the Indian Ocean as his or her motherland and fatherland is known as Hindu. However, here we also have the real and ancient name of India mentioned, which is Bharata Bhoomi. “Bhoomi” (or Bhumi) means Mother Earth, but Bharata is the land of Bharata or Bharata-varsha, which is the land of India. In numerous Vedic references in the Puranas, Mahabharata and other Vedic texts, the area of India is referred to as Bharata-varsha or the land of Bharata and not as Hindustan. The name Bharata-varsha certainly helps capture the roots and glorious past of the country and its people. These again indicate that the region between the Himalayas and the Indian Ocean is called Hindustan. Thus, the conclusion of this is that all Indians are Hindus regardless of their caste and religion. Of course, not everyone is going to agree with that. Others say that in the Rig Veda, Bharata is referred to as the country of “Sapta Sindhu”, i.e. the country of seven great rivers. This is, of course, acceptable. However, exactly which book and chapter this verse comes from needs to be clarified. Nonetheless, some say that the word “Sindhu” refers to rivers and sea, and not merely to the specific river called “Sindhu”. Furthermore, it is said that in Vedic Sanskrit, according to ancient dictionaries, “sa” was pronounced as “ha”. Thus “Sapta Sindhu” was pronounced as “Hapta Hindu”. So this is how the word “Hindu” is supposed to have come into being. It is also said that the ancient Persians referred to Bharat as “Hapta Hind”, as recorded in their ancient classic “Bem Riyadh”. So this is another reason why some scholars came to believe that the word “Hindu” had its origin in Persia. This, of course, is supposed to have given rise to the name “Hindu”, indicating an indigenous origin. The conclusion of which is that people living in this area are thus known as “Hindus”. So again, in any way these theories may present their information, and in any way you look at it, the name “Hindu” started simply as a bodily and regional designation. The name “Hindu” refers to a location and its people and originally had nothing to do with the philosophies, religion or culture of the people, which could certainly change from one thing to another. It is like saying that all people from India are Indians. Sure, that is acceptable as a name referring to a location, but what about their religion, faith and philosophy? These are known by numerous names according to the various outlooks and beliefs. Thus, they are not all Hindus, as many people who do not follow the Vedic system already object to calling themselves by that name. So “Hindu” is not the most appropriate name of a spiritual path, but the Sanskrit term of Sanatana-dharma is much more accurate. The culture of the ancient Indians and their early history is Vedic culture or Vedic dharma. So it is more appropriate to use a name that is based on that culture for those who follow it, rather than a name that merely addresses the location of a people. It seems that only with the Vedic kings of the Vijayanagara empire in 1352 was the word "Hindu" used with pride by Bukkal who described himself as "Hinduraya suratrana". Whereas the main Sanskrit texts, and even the rituals that have been performed in the temples from millennia ago, used the word "Bharata" in reference to the area of present-day India. Thus, it is traditionally and technically more accurate to refer to the land of India as "Bharata" or "Bharat varsha". Unfortunately, the word “Hindu” has gradually been adopted by most everyone, even the Indians, and is presently applied in a very general way, so much so, in fact, that now “Hinduism” is often used to describe anything from religious activities to even Indian social or nationalistic events. Some of these so-called “Hindu” events are not endorsed in the Vedic literature, and, therefore, must be considered non-Vedic. Thus, not just anyone can call themselves a “Hindu” and still be considered a follower of the Vedic path. Nor can any activity casually be dubbed as a part of Hinduism and thoughtlessly be considered a part of the true Vedic culture. Therefore, the Vedic spiritual path is more precisely called Sanatana-dharma, which means the eternal, unchanging occupation of the soul in its relation to the Supreme Being. Just as the dharma of sugar is to be sweet, this does not change. And if it is not sweet, then it is not sugar. Or the dharma of fire is to give warmth and light. If it does not do that, then it is not fire. In the same way, there is a particular dharma or nature of the soul, which is sanatana, or eternal. It does not change. So there is the state of dharma and the path of dharma. Following the principles of Sanatana-dharma can bring us to the pure state of regaining our forgotten spiritual identity and relationship with God. This is the goal of Vedic knowledge and its system of self-realization. Thus, the knowledge of the Vedas and all Vedic literature, such as Lord Krishna’s message in Bhagavad-gita, as well as the teachings of the Upanishads and Puranas, are not limited to only “Hindus” who are restricted to a certain region of the planet or family of birth. Such knowledge is actually meant for the whole world. As everyone is a spiritual being and has the same spiritual essence as described according to the principles of Sanatana-dharma, then everyone should be given the right and privilege to understand this knowledge. It cannot be held for an exclusive group or region of people. Sanatana-dharma is also the fully developed spiritual philosophy that fills whatever gaps may be left by the teachings of other less philosophically developed religions. Direct knowledge of the soul is a “universal spiritual truth” which can be applied by all people, in any part of the world, in any time in history, and in any religion. It is eternal. Therefore, being an eternal spiritual truth, it is beyond all time and worldly designations. Knowledge of the soul is the essence of Vedic wisdom and is more than what the name “Hindu” implies, especially after understanding from where the name comes. Even if the time arrives in this deteriorating age of Kali-yuga after many millennia when Christianity, Islam, Buddhism, and even Hinduism (as we call it today) may disappear from the face of the earth, there will still be the Vedic teachings that remain as a spiritual and universal truth, even if such truths may be forgotten and must be re-established again in this world by Lord Krishna Himself. I doubt then that He will use the name “Hindu.” He certainly said nothing of the sort when He last spoke Bhagavad-gita. Thus, although I do not feel that “Hindu” is a proper term to represent the Vedic Aryan culture or spiritual path, I do use the word from time to time to mean the same thing since it is already so much a part of everyone’s vocabulary. Otherwise, since I follow the Vedic path of Sanatana-dharma, I call myself a Sanatana-dharmist. That reduces the need to use the label of “Hindu” and also helps focus on the universal nature of the Vedic path. Therefore, I propose that all those who consider themselves to be Hindus begin to use this term Sanatana-dharmist, which not only refers to the correct Sanskrit terminology, but also more accurately depicts the true character and spiritual intention of the Vedic path. Others have also used the terms Sanatanis or even Dharmists, both of which are closer to the real meaning within Vedic culture. However, for political and legal purposes it may be convenient to continue using the name Hindu for the time being. Until the terms Sanatana-dharma or Vedic dharma become more recognized by international law and society in general, “Hindu” may remain the term behind which to rally for Vedic culture. But over the long term, it is a name that is bound to change in meaning to the varying views of it due to its lack of a real linguistic foundation. Being based merely on the values people place in it, its meaning and purpose will vary from person to person, culture to culture, and certainly from generation to generation. We can see how this took place with the British in India. So there will be the perpetuation of the problems with the name and why some people and groups will not want to accept it. Yet by the continued and increased use of the terms Vedic dharma or Sanatana-dharma, at least by those who are more aware of the definitive Sanskrit basis of these terms, they will gain recognition as being the more correct terminology. It merely takes some time to make the proper adjustments. This is the way to help cure the misinterpretation or misunderstandings that may come from using the name "Hindu," and also end the reasons why some groups do not care to identify themselves under that name. After all, most Vedic groups, regardless of their orientation and the specific path they follow, can certainly unite behind the term Vedic dharma. APPENDIX: Srila Prabhupada, founder of the International Society of Krishna Consciousness, has said different things at different times or to different people regarding the use of the name “Hindu”. Many times members of Iskcon seem to think that the name Hindu should be avoided at all costs. And on numerous occasions Srila Prabhupada did say Iskcon members are not necessarily Hindus. In this way, Srila Prabhupada differentiated Krishna Consciousness as a universal, cultural and spiritual movement that could stand on its own, apart from any particular religious and cultural distinction. Yet he still relates how there is certainly an Indian and Hindu relationship with what is being presented within his movement. And this does not have to be nor should it be completely ignored or avoided. We can certainly work together for the preservation and promotion of Vedic culture without difficulty with those who may prefer to call themselves Hindu, knowing our connection with the Vedic traditions.